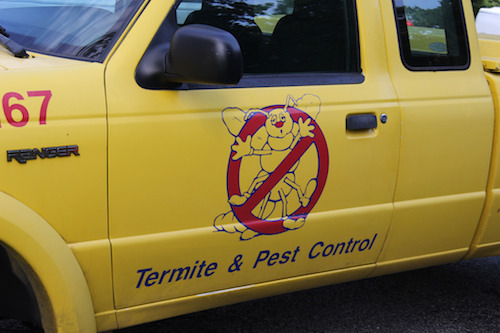 Pest management professionals (PMPs) were called exterminators or pest control operators in the past. They are certified applicators who have the training and knowledge to treat pest problems. They can also apply restricted use products. PMPs can be classified as either private or commercial applicators depending on their type of license. PMPs may apply pesticides to various locations including: agricultural settings, homes, businesses, farms, schools, parks, roadways, railways, forests, vineyards, public lands, and others. If a professional applicator is going to apply a pesticide in your area, you can contact your state pesticide regulatory agency to inquire about state pesticide laws. You can also ask whether the applicator has a current license. Regardless of their training and experience, a professional applicator is still required to read and follow the label directions for the product. The label is the law. State pesticide regulatory agencies require PMPs to undergo training, testing, and continuing education to maintain their licenses. For information on how to select a Pest Management Professional (PMP), see our webpage on Selecting a Pest Control Company. To become a certified pesticide applicator, contact your state pesticide regulatory agency. If you have additional questions about professional pesticide applications, or any pesticide-related topic, please call NPIC at 1-800-858-7378 (8:00am - 12:00pm PST), or email us at npic@ace.orst.edu.